Tomorrow's News Today - Atlanta: [UPDATE] Wayback Burgers Coming to Embry Village, Kroger Marketplace...? [UPDATE] Wayback Burgers Coming to Embry Village, Kroger Marketplace...? 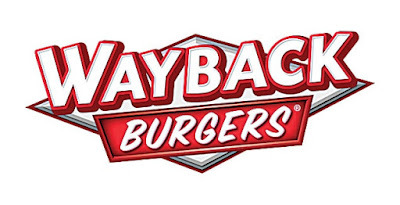 Like many "better burger" concepts, Wayback Burgers features burgers [available as a single, classic double, triple and triple-triple (nine) patties] as well crispy and grilled chicken sandwiches, veggie burgers and turkey burgers. The menu also features milkshakes, salads and assorted sides such as fries, onion rings and house-made chips. In metro Atlanta, Wayback Burgers is likely largely unknown, but did make a brief cameo appearance of sorts when they took part in Burger King's "Peace Day Burger" in 2015. According to a memo distributed this week by property owner Kimco to Embry Village tenants, the addition of Wayback Burgers will coincide with a facade renovation of the three suite Moe's outparcel. T-Mobile, currently located in a small space beside Kroger, will relocate to the space behind Wayback and behind Moe's. In addition, Kimco plans to repave the parking lot area coming in from the center's secondary entrance on Henderson Mill Road. According to the The Embry Hills website, "Embry Village is under redevelopment to expand Kroger to 120,000 square feet for a new Marketplace concept store. The complete site renovation will include 9,900 square feet of new shops next to Planet Fitness in 2017." While it is true that late last year the former package store in front of Planet Fitness, as well as the former motel behind Kroger were demolished, there is reason to doubt the accuracy of the Embry Village website. Among the materials on the Embry Village website is a competitive aerial that indicates it was created 1/25/08 and later revised 8/31/12. The aerial indicates there is a Goody's in Cofer Crossing, Parisian in Northlake Mall, Haverty's and Toys R Us in Northlake Tower Festival and Big K Mart on Buford Highway in Doraville - all of which have been closed for years. When contacted at various times last year, Kroger representatives have offered little in the way of a definitive response as it relates to the status of the Marketplace at Embry Hills. Kroger representatives have not yet responded to ToNeTo Atlanta's most recent inquiry. Have you ever been to a Wayback Burgers restaurant? What is your favorite "better burger" chain? Do you think the Kroger Marketplace store will ever happen at Embry Village? We want a new Kroger! I love Cookout its definitely a "better burger" than McDonald's and a much better value. Never tasted a Wayback burger. Always like a new burger place so looking forward to this but I am seriously doubting the new and improved mega-Kroger will ever come to fruition. It is sad that S & S is gone because of it - guess time will tell. I’m excited for this Wayback burger joint! This area needs it and it’s long over due! Take my money! On the Embry Kroger- it is getting busier by the day - the store cannot keep up. They have stocking issues, freshness issues and selection issues. Not to mention they don’t have cell service in the store. It’s a small dated store. I don’t know what the answer is - it’s a transitional time for stores of all kinds, what with competitors and the online/delivery options. I know I have better options but I like spending my money in my area as often as I can.